* Comet was a subsidiary of Black & White and T-Bone Shuffle was issued just before B&W’s demise in 1949. It was immediately reissued by Capitol. 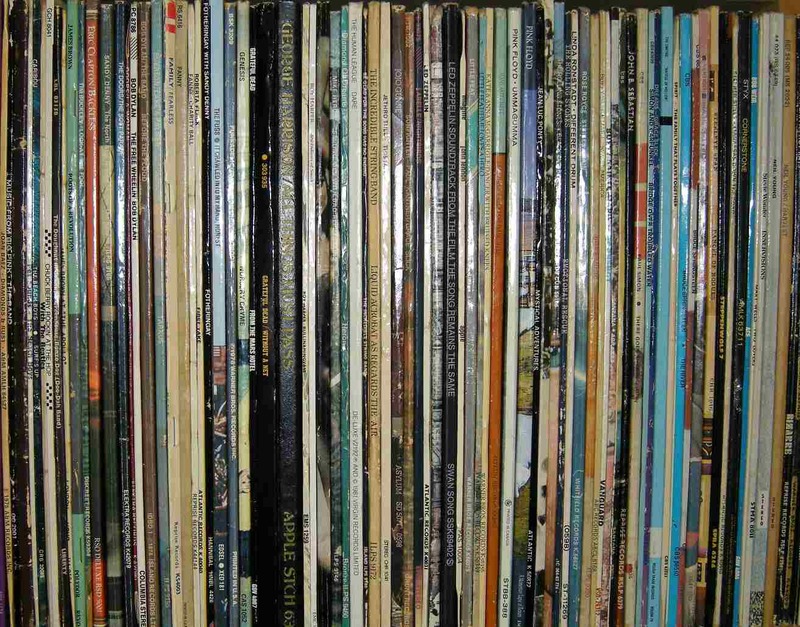 So many of my Toppermost pieces have been beating the drum for an artist or artists that I feel have been unfairly neglected, that I almost feel sorry for inflicting another one on the reader. But this one might be the most important of the lot. If this fellow hadn’t plugged in we might never have had B.B. and the other Kings of the Blues. And, heck, he’s great to listen to quite regardless of his place in music history. Take a look/listen to that live video from one of the “Jazz At The Philharmonic” concerts which took place at Poplar Town Hall in 1966. T-Bone wasn’t in the best of health, but boy was he delivering. Those of you with long memories might enjoy the complete Not Only… But Also show. I’d advise others to skip forward to almost exactly the six minute mark where you’ll find one T-Bone Walker in splendid fettle performing Hey Baby. There are a lot of people out there who think that electric blues guitar started with B.B. King. 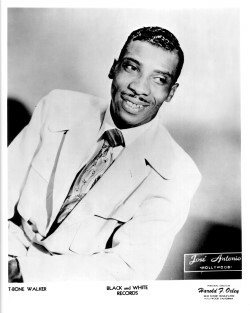 In reality, T-Bone Walker, born in 1910 in Linden, Texas, beat him to it by more than a few years. In his youth, T-Bone – real name Aaron Thibeaux Walker – was exposed to both jazz and blues; Blind Lemon Jefferson was a family friend. He cut his first single in 1929. He moved to L.A. in the thirties and paid his dues with several bands, earning his living dancing and singing as well as playing guitar. His experimentation with guitar amplification started back in these early years. By the time he signed with Capitol in 1942 and subsequently the Black & White label in 1946, the sound was very largely in place as indeed was the slick stage act. The Black & White spell yielded the original versions of classics like Call It Stormy Monday and T-Bone Shuffle. Like many a blues musician, T-Bone would often re-record his favourite songs at whatever label he happened to sign with. Of all the big blues names, T-Bone was the most jazz inclined. His support at Black & White (and later labels) was from small or large bands with an evident jazz grounding. Whereas jazz guitarists had previously supplied gentle rhythm guitar and relatively soft single note forays, T-Bone’s use of amplification gave him more of a cutting edge and the ability to display more contrast. He also introduced features like simultaneous two string usage (later favoured by Chuck Berry), string bending (favoured by almost everyone) and occasional emphatic partial chords, prefiguring today’s power chords. Stints at Imperial and Atlantic followed with excellent results. He disappeared somewhat during the rock ‘n’ roll years and in the decade that followed, it was his disciple B.B. King who got all the electric blues guitar plaudits particularly with crowd pleasing singles like The Thrill Is Gone. T-Bone suffered from health issues throughout much of his career largely brought on by alcohol, though he didn’t allow such problems to unduly impact nationwide (and international) touring. He suffered a stroke in 1974 from which he didn’t make a full recovery and died of bronchial pneumonia in 1975. That was about as brief a biography as I could manage, since I want to get on to the music. However I’ll use opportunities to expand as I go along and there’ll be several more snippets in the footnotes. T-Bone’s first record was made for the Columbia label and released in 1929 under the name of Oak Cliff T-Bone (from the black area of Dallas where he lived). The titles were Trinity River Blues/Wichita Falls Blues. He was accompanied by pianist Douglas Finnell. I’m no expert in the area of early blues but T-Bone sounded older than his 19 years, and I’m reliably informed that stylistically the record bore similarities to the guitar/piano duets of Scrapper Blackwell and Leroy Carr. Certainly, they’re nothing like the T-Bone Walker we were to hear when he next entered a recording studio. Columbia didn’t go back to Oak Cliff T-Bone for more, indicating that sales didn’t warrant doing so. This was the speculative way in which they moved around the southern states, hoping to strike gold with what were then termed race records. He met Vida Lee in Fort Worth and married her in 1934. She has the honour of a song being named after her a few years down the line. In the second half of the thirties, T-Bone moved to Los Angeles, leaving his young wife behind for the time being. He started making a name for himself in the Central Avenue clubs and, during this timeframe, bought himself a Gibson ES-250 hollow bodied electric guitar plus matching EM-185 amp. In 1939, he joined Les Hite’s Cotton Club Orchestra and, in 1940, as featured vocalist with the band, made a record, T-Bone Blues, which was released by Varsity Records. You’ll also notice after a few bars that that’s not T-Bone on guitar. Instead, Frank Pasley on Hawaiian (or what we now call Steel) Guitar takes the lead role. T-Bone is on rhythm, but acoustic not electric – Hite & co reckoned he was too loud on the latter. The quick witted reader will already have deduced that I’m working through T-Bone’s musical career chronologically. Which is true, but I’m now about to make a leap forward in time, to the version of T-Bone Blues which appears on the Atlantic album of that name which was released in 1960. On this one, T-Bone himself opens with the slightly ominous sounding riff which had come from the piano on the earlier record. This is the fully mature T-Bone in all his glory, both in terms of guitar and vocal. The latter is a far cry from Trinity River Blues. On this track, which is certainly not atypical of the bulk of his oeuvre, he’s reined back the earlier expressiveness to a much more resigned, or world-weary tone, which on some numbers veers towards the laconic L.A. cool style. It was more akin to jazz vocal than the downhome let-it-all-hang-out rural style, which subsequently got utilised and electrified by several of the blues performers based in Chicago in the fifties. The vocal on the Les Hite version of T-Bone Blues is somewhere in between the two extremes. It’s worth commenting that in his role with Hite, T-Bone sang as many ballads as blues, and these would have been jazz informed ballads. Move forward a couple of years from the Hite session and T-Bone is working with a band led by white boogie pianist Freddie Slack. 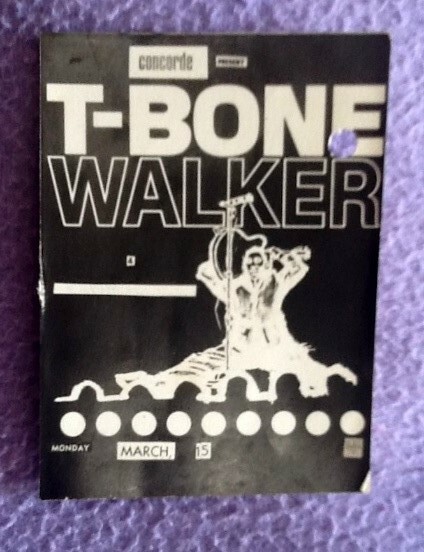 Six sides of the full band are recorded by the fledgeling Capitol label, then the majority of the band depart, leaving Walker, Slack, a bass player and drummer, and this small group record two numbers which effectively comprise T-Bone’s first solo single. The sides were I Got A Break Baby and Mean Old World. Whilst the backing was minimalist compared to many subsequent sessions, the performance of T-Bone and team gave us a structural model that was the backbone for many of those later classic records for Black & White, and Imperial. His guitar style was already fully formed, playful in places, particularly on the slightly faster A-side, with economic string usage plus fast clusters of notes, and with plenty of that interplay between voice and guitar which was a highlight of his live performances. Both numbers would stay in T-Bone’s stage repertoire for years although Capitol didn’t actually release the two tracks on a single till 1945. Mean Old World got covered by almost everyone you can think of, though the most notable one came from Little Walter in 1952. Here are the two versions. Note the double instrumental run through of the twelve bar sequence on the T-Bone original pushing the start of the vocal out to one minute plus. This was a far from unusual feature on early Walker records (and had occurred on T-Bone Blues). Baby to live in by yourself. Following Mean Old World there were several records released on Rhumboogie, a label named after the club with that name in Chicago. T-Bone worked there for a spell in ’42, and was a great success. He performed there again in the middle of the decade. On return to L.A. he signed with Black & White Records, a label which had recently shifted its base from New York. The sides that T-Bone laid down for Black & White during a relatively short timeframe in 1946 and 1947 are rightly regarded as among the most innovative of the blues genre. Extra colouration was added to the base T-Bone sound by the addition of tenor sax – initially Jack McVae and subsequently the great Bumps Myers – and trumpet. Two of his best known songs come from this period, Call It Stormy Monday (But Tuesday Is Just As Bad), to give its full title (see also Footnotes), and T-Bone Shuffle. Although both of these tracks were to be recorded several times more by T-Bone, I’ve gone for the original B&W cuts. On most of the follow-ups (disregarding live performances) the arrangements follow those originally conceived in B&W’s studios, so I felt those source versions were more than adequate. A fairly succinct summary of the working week, particularly as it applied to American blacks. I first came across Stormy Monday, as it was labelled on the record, via an Alexis Korner Blues Incorporated LP, released in ’64 and entitled Red Hot From Alex (and which sadly is no longer in my collection due to a burglary). With vocal from Herbie Goins, this was the stand out track in the set. Within about a year I’d transferred my attention to Bobby Bland’s majestic Stormy Monday Blues, his version of the song, adding further confusion to the title saga. It was some years later that I heard the T-Bone original (and made a point of listening to the later variants including a curious effort produced by Huey Meaux with heavy but perhaps misguided chart ambitions). Out of curiosity I googled “Texas Shuffle”. I didn’t find a definition but there was a forum, seemingly consisting of drummers, attempting to elucidate the differences between a Chicago Shuffle and a Texas Shuffle. No one managed it – heck they were drummers I hear someone say! Forget that last remark. There was one perceptive individual though, who, rather than attempting definitions, put forward an excellent list of examples of each genre. The Texas list included Freddie King’s Hideaway (yes it was named after a Chicago club but Freddie was born in Gilmer, Texas and died in Dallas), Albert Collins’ Frosty, Gatemouth Brown’s Okie Dokie Stomp, Lowell Fulson’s Reconsider Baby (one of the slower efforts), Stevie Ray Vaughan’s Pride And Joy and T-Bone Walker’s T-Bone Shuffle. The last named wasn’t the first Texas Shuffle; T-Bone had waxed a few before, like I’m Gonna Find My Baby, It’s A Lowdown Dirty Deal, T-Bone Jumps Again, She’s My Old Time Used To Be (what a title!) and more, and he would go on to produce others, with later efforts even more punctuated by unison horn riffing in response to the vocals. But T-Bone Shuffle was the definitive one and, yes, contrary to the expectations that the title might have generated, there was a vocal. T-Bone and the band lay down the riff for the first twelve bars, and then Bumps Myers steps into the spotlight with some superbly sleazy sax. The band are riffing quietly behind T-Bone and, immediately he’s done with the first verse, that guitar is back for a full 24 bars with one of those switches, amp or guitar, I don’t know, set to STING mode. A delicious irony about the whole thing is that this significant sub-genre of blues which later got christened the Texas Shuffle actually originated in studios in L.A. with most of the musicians involved resident in the city or its environs, and some having been born there. But it was primarily Texan singer/guitarists who picked this new thing up and ran with it. If you wanted to add a few more examples to that earlier list then have a listen to Pee Wee Crayton’s You Know Yeah, Johnny “Guitar” Watson’s Half Pint-A-Whiskey, Long John Hunter’s Border Town Blues and Phillip Walker’s Lay You Down. And you thought the forties were dull compared to the rockin’ fifties, the swinging sixties, etc. etc. There was a lull in recording activity in 1948/49 due to the second Petrillo Ban (see Footnotes). In 1950, T-Bone signed with another L.A. based independent label, Imperial Records and would stay with them up until 1954. Stylistically there was no dramatic change from B&W to Imperial even though there were personnel changes. Notable among the new musicians present was tenor sax man Eddie “Lockjaw” Davis who was to go on to be a prominent member of the Count Basie Band. Perhaps the most noticeable difference was greater polish and a tendency towards fuller orchestration – one got the impression that horn arrangements were written down at Imperial rather than “in the head” where they existed at all, at B&W. In the main, L.A. studios continued to be used though sessions were also held in New Orleans (using the Dave Bartholomew band) and Detroit. On a relatively small number of the later Imperial tracks there did seem to be an attempt to woo the teen market, a recognition that rock and roll was starting to happen in the ghetto areas of the big American cities, but, quality wise, Imperial standards didn’t drop. We’re overdue an instrumental but that’s purely down to the fact that he hadn’t recorded any yet. That was rectified in the first session for Imperial held in L.A. on April 5th 1950 which produced Strollin’ With Bones. That relaxed but emphatic guitar duelled with a well drilled and punchy bank of horns. Those boys in the brass section may have had the power but T-Bone was the conductor (and you knew he could turn the knob on the amp and overwhelm them in the blink of an eye). The Hustle Is On from the same recording session was another up tempo jumper only this time with vocal. It’s a good example of the extra sonic range T-Bone was finding at Imperial; not only the predictably excellent voice and guitar, plus more than one prominent instrument – in this instance piano and 24 bars from the rasping sax of Eddie Davis – but also that horn section with varying support riffs. That might all sound dry and technical but it’s those sort of things that can make a record worth listening and re-listening to. He didn’t drop the slow blues. Indeed such material formed the bulk of his oeuvre and that didn’t change over the years. Cold Cold Feeling is another great one. From an intro that gently slides the hook in, T-Bone and those softly swirling horns take you through the misery. Understated, of course. The 1955 sessions for this album were held in Chicago, and a couple of them feature Junior Wells on harmonica and Jimmy Rogers, guitar. The bass player and drummer aren’t named but it’s thought they were Willie Dixon and Francey Clay. The sleeve notes don’t even mention the fact that there’s also a pianist present. Cal wasn’t going to let me get away with those sloppy comments even though something like that did appear in the sleeve notes. His diligence revealed the more than strong probability that it was Ransom Knowling on bass, Leroy Jackson on drums and Johnny Young on piano. I’m particularly enamoured of Play On Little Girl which shows T-Bone taking on Chicago Blues and coming out on top. You’d think he would be totally out of his comfort zone but he’s not. Wells is just superb. Papa Ain’t Salty from this album has T-Bone in more familiar territory; piano, bass and drums plus three saxes riffing along nicely with our man apologising for being such a grouch that she up and went out of the door. All this to a shuffle rhythm and plenty of that guitar. I feel I’m slightly cheating with my last pick. Two Bones And A Pick, from the same set, is just another fast instro rather than a major high point of T-Bone’s career (or words to that effect). Mind you it’s not just any fast instro, this one has the great Barney Kessel on as well as T-Bone’s nephew R.S. Rankin. I was so keen on this that I actually uploaded it. It’s picked up 11,000 plus views in 4 years which I don’t think is too bad. The first solo is taken by R.S., the second by Barney Kessel and the last by T-Bone. Place your bets on who comes out best (though R.S. has evidently heard T-Bone a few times). And that’s the great Plas Johnson on sax. The rock and roll years weren’t good to T-Bone, though the situation started looking up again in the early to mid sixties when he found himself in demand as a result of white US college students discovering the blues, followed, of course, by the Brit blues boom. While the latter resulted in international concert tours it didn’t produce hit singles. Indeed, although recording restarted in, I think, ’64, the emphasis switched to albums of which there were quite a lot. I have the Huey Meaux produced stuff, plus some limited knowledge of the three Bluesway albums based on a long best of set. They’re good but less distinctive than the Black & White, Imperial and Atlantic tracks, and I suspect this goes for other albums in this timeframe. Good Feelin’, an album recorded in Paris in ’68, won a grammy for T-Bone and rekindled some interest, and there was a later set, Very Rare, produced by Jerry Leiber and Mike Stoller, featuring a number of jazz luminaries, which was well received, although potential purchasers should be warned that T-Bone only played on five tracks. Two of my favourite covers of T-Bone’s songs have already featured in Toppermosts: they’re Bobby Bland’s great version of Stormy Monday, and the live take of Doug Sahm and The Last Real Texas Blues Band kicking up a storm on T-Bone Shuffle. I’m not going to double up so would point the listener at those T’mosts (see links below). There’s a take of Papa Ain’t Salty on the Doug Sahm And Band Atlantic album but I’ve gone for a live take from Austin. There has to be a T-Bone Shuffle. I’ve selected one from Johnny Copeland, Albert Collins and Robert Cray. JC takes the first vocal & break, AC the second vocal and break and Robert gets the final vocal/break. 1. T-Bone had part Cherokee heritage which probably accounts for those high cheekbones. His parents separated when he was two and his mother Movelia moved to Dallas with him. She remarried and her second husband was Marco Washington who performed with the Coley Jones Dallas String Band. Movelia also had a deserved reputation as a guitarist. 2. The name T-Bone came from the corruption of T Beau, a shortening of our man’s second name Thibeaux. 3. 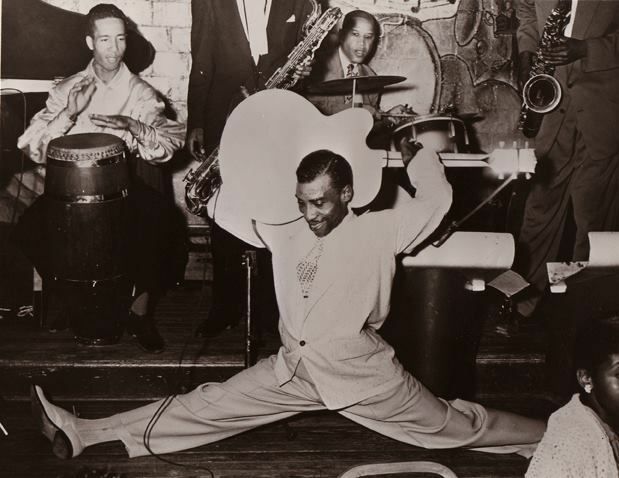 During the mid twenties, T-Bone who was self-taught on guitar, banjo, mandolin, ukulele and piano, toured Texas as a musician/comedian/dancer with Dr. Breeding’s Big B Tonic Show before joining a travelling revue led by blues singer Ida Cox. 4.In the early 1930s T-Bone befriended Charlie Christian, later to find considerable fame as a jazz guitarist. He played in a guitar/bass duo with Christian with the pair switching the guitar and bass roles. 5. Les Hite was a saxophonist and band leader, born in Illinois but whose musical existence revolved around L.A. and the West Coast. In addition to T-Bone Walker, musicians who had at one time or another been members of the band, or ‘orchestra’ as they termed them then, included Dizzy Gillespie and Lionel Hampton. 6. Varsity Records was set up and managed by Eli Oberstein, who went on to become Head of A&R for RCA Victor. He also set up RCA’s budget (35 cents) subsidiary Bluebird which concentrated on blues and jazz/big band music. Bluebird released a purely instrumental version of T-Bone Blues in 1941, under the title T-Bone Blues Fox Trot, with Frank Pasley stretching out more. 7. T-Bone claimed to have been using electric guitar from 1935 onwards though some doubt might be thrown on such statements from the fact that the first commercial production electric guitar, the Gibson 150 wasn’t marketed until 1936. The electric Hawaiian guitar was available earlier and found its way pretty promptly into Western Swing bands – the first recorded electric Hawaiian guitar is believed to have come from Bob Dunn in Milton Brown’s Musical Brownies in 1933. Jump forward to March 1938 and we get what is claimed (by Wiki) to be the first electric (Spanish) guitar on record. The artist was jazz guitarist George Barnes and there were two tracks recorded, Sweetheart Land and Low Down Dirty Shame, with the last named also featuring Big Bill Broonzy. This is it. We don’t get to hear George until 40 seconds or so in. 8. The dearth of records from T-Bone in the period 1942 to 1945 is explained by the fact that the US recording industry largely came to a standstill during that timeframe. The virtual stoppage was caused by musicians belonging to the American Federation Of Musicians going on strike from 1st August 1942 to 11th November 1944. The strike was led by Union President James Petrillo and is often referred to as the Petrillo Ban. The reason for it was that musicians were not paid royalties by record companies for their contribution on recording sessions. The strike only covered recording; it did not cover live performance either on stage or on the radio. Petrillo did not budge even though the matter was referred to the US President, Franklin D. Roosevelt. Eventually he won his case. One unintended effect of the strike was to push the emphasis on to singers and vocal groups (who weren’t members of this union) and away from big bands which had largely held sway in the thirties and very early forties. Big bands didn’t go away just like that of course but the coming of rock and roll in the mid fifties, usually with small groups, hastened their demise. There was another musical dispute in 1948/49 which also impacted T-Bone’s releases. 9. One of the sides recorded by Rhumboogie (although released by Mercury after the demise of Rhumboogie) was My Baby Left Me. I’m only mentioning it in order to warn the reader that it’s not the Arthur “Big Boy” Crudup number that was also recorded by a certain Mr Presley. 10. Black & White Records was closed down in 1949 but they offered many of the masters for sale including some which had not been released. Capitol bought the T-Bone masters. Hence possible confusion due to him seeming to appear on Capitol twice. 11. It’s not uncommon to see T-Bone’s Call It Stormy Monday (But Tuesday Is Just As Bad) referred to as Stormy Monday Blues or even, Billy Eckstine’s Stormy Monday Blues. What a lot of people don’t realise is that there are actually two different songs although both are slow blues, and the Eckstine song – or, more correctly, Stormy Monday Blues as recorded by Earl Hines and his Orchestra with vocal refrain from Billy Eckstein (sic) – actually featured a supporting guitarist. The record was released in 1942 and it sold well in the black community. Wiki notes that “the song was a hit, reaching number one in Billboard Magazine’s Harlem Hit Parade”. Lyrically it has no similarity to the Walker song. “Stormy” is the lady Billy is singing to. There’s no mention of Monday let alone any other days of the week. T-Bone recorded his song at the session held on 13th September 1947 and it was released in November that same year. Musicians present included Teddy Buckner trumpet, Bumps Myers tenor sax and Lloyd Glenn piano. It reached number five in Billboard’s Race Records Chart (what we now know as their R&B Chart) but has eclipsed the Eckstine/Hines song over the years. Later cover versions of T-Bone’s record often got mislabelled as Stormy Monday Blues which led to problems for T-Bone when royalties went to the wrong person. 12. ”The eagle flies on Friday” in Stormy Monday is a reference to pay day. The eagle was to be found on one side of both a 50 cent and a quarter coin, and when these were thrown to a bartender to pay for drinks, the eagle could be said to be flying. I’m informed that 1947 was the last year the eagle appeared on the half dollar coin. 13. I’d make a couple of further observations about the LP Red Hot From Alex. Firstly, that the ubiquitous Danny Thompson held down the bass duty (I’m grateful to Discogs for the session info), and secondly, that another big favourite of mine from the set was the band’s version of B.B.’s Woke Up This Morning. And I do wonder whether that track from B.B. with its distinctive latin beat and switches to 2/4 time, was the inspiration for T-Bone’s late Imperial track, Hard Way, which took a similar approach (and was unusual in T-Bone’s repertoire). There’s no reason why influences should all go in the same direction! 14. I’m assuming that Alexis Korner, “father of British Blues” and leader of Blues Incorporated, doesn’t need an introduction here. For those who don’t know the man, Wiki provide a decent feature and the early Blues Inc. albums are worth searching for. Herbie Goins, vocalist on Red Hot From Alex, was an American ex-serviceman who had somehow ended up in London via Germany. He was with Blues Inc. for roughly eighteen months, following which he left to front his own group, Herbie Goins and the Nightimers (or sometimes Night-Timers) who operated more in a soul vein – they met with some success on the British R&B club circuit and released a few singles. The Nightimers broke up in ’71 and Herbie moved to Italy where he operated largely as a song writer and record producer. He died in Italy in 2015. 15. The list of Texan Shuffle examples came indirectly from a Stevie Ray Vaughan interview in one of his box sets but I’ve not been able to pin down the collection. 16. Imperial Records were set up in Los Angeles by Lew Chudd in 1947. While their base was L.A., like another indie from that city, Specialty Records, they did a lot of recording in New Orleans often using Dave Bartholomew’s band and the Cosimo Matassa studios. Their most famous recording artist, apart from T-Bone, was the great Fats Domino but their roster also stretched to artists like Slim Whitman and Ricky Nelson. 17. I don’t know if there was any precedent, or indeed follow-on, to the recording session Atlantic Records held in Chicago with T-Bone. In the period prior to that session, 1950 to ’55, Atlantic had established themselves as the R&B recording label in New York with artists like Ruth Brown, Ray Charles, the Clovers, so one wouldn’t have thought they needed to go to Chicago for inspiration. Was this a gesture of we-can-do-anything-you-can-do towards Leonard Chess, one wonders. They did like his sound. To the extent of $600 in notes apparently. T-Bone, however, was less than amused and warned Clarence, “Look, as long as you live and breathe don’t you ever pick on my guitar again”. That’s the way Clarence himself used to tell the story, as recorded in the Preston Lauterbach book. Though I’d also comment that the Walker song wasn’t authored by the man himself. Following a pattern of spreading the song writing on much of the Imperial material, it came from another writer, in this instance, a lady called Bernice Carter. 20. There are several good compilations of T-Bone on the market. I have enjoyed the Proper box set which I’ve alluded to (it runs from his beginnings up to the first year at Imperial), but I don’t know if it’s still available. 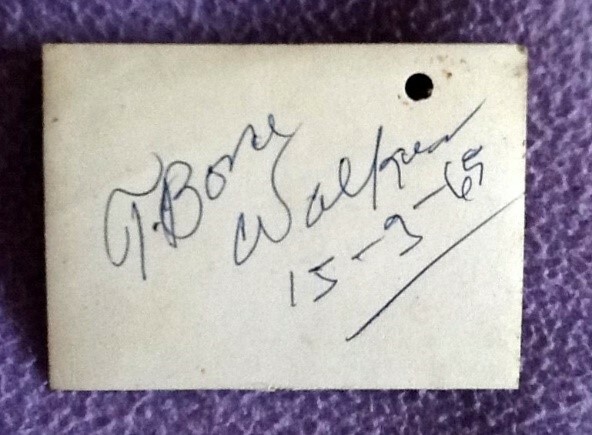 I also own T-Bone Walker: The Complete Imperial Recordings, 1950-1954. There is now a set called T-Bone Walker: The Ultimate Collection 1929-57 which comprehensively covers the territory of both the above, and also has the essential Atlantic material. Judging by positive reviews this should now be the one to recommend. 21. T-Bone’s (relative) lack of profile in the UK may well be partially due to the non-availability of records from the man in the first half of the sixties, when a lot of Brits were buying almost anything with the label ‘Blues’ on it. 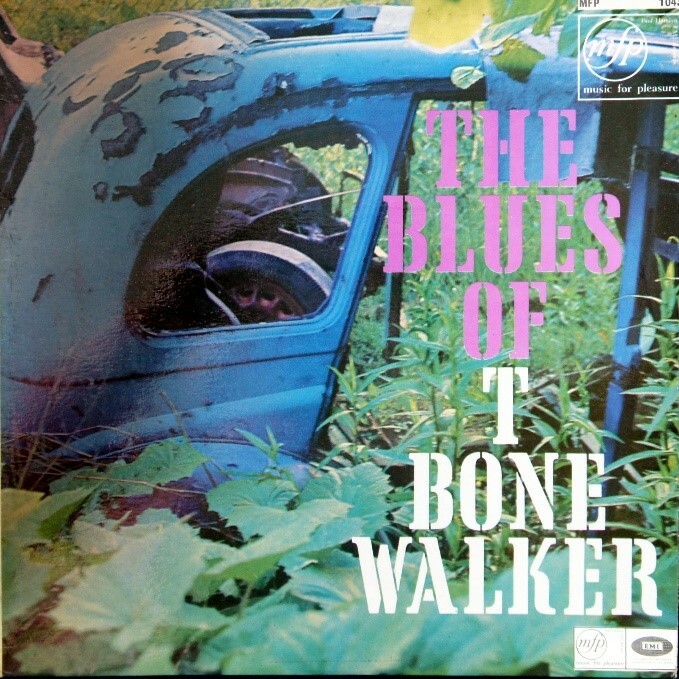 One that did see issue though, was The Blues Of T-Bone Walker on the budget label Music For Pleasure. Coincidentally both Cal and I bought it; as well as blues freaks we were both bargain devourers – it retailed at 12/6 in old money. Have to confess I struggled a bit with the album at the time – it didn’t quite hit the sweet spot like Jimmy Reed or Sonny Boy, but, on a revisit, it’s absolutely fine. To those keen readers who’ve followed me this far, I’d advise perseverance. Much of the music contained in this post might sound as if it belonged to a different generation but the artistry, the innovation, the sophistication, and at times the beauty, are all there if your ears are open. Dave – thanks for this superb piece on a great musician. Also brings out so well how T-Bone’s sound had such a wide-ranging influence on other musicians, even those whose styles were very different from his own urbane and laid-back one. And his own playing was always so majestic. Thanks Andrew. I love that word “majestic”. Credit is also due to Cal. He contributed one heck of a lot more than that great anecdote at the start.